"MACASKILL, Andrew Scott (Mac). Aged 49 yrs, passed away in the company of his darling Leisa on Thursday 13th September 2012 after a short illness. Most treasured son (Scamp) of Trish and Stuart and dearly loved brother of Grant and Helen and Ian and Sandie. Adored Dad of Sophie and Nic and the coolest Uncle Mac to Ella, Callum and Lewis. His loving nature and wonderful free spirit will be greatly missed by us all. A service will be held at 3:00pm Tuesday 18th September at the Purewa All Saints Crematorium Chapel, All Saints Rd, Meadow Bank, Auckland. Our sincere thanks to the Doctors and Nurses at the Mercy Hospice for their compassionate care of Mac and family. Donations please in lieu of flowers to the Mercy Hospice, Ponsonby, Auckland." Princess Chelsea has a new video out for her song 'Overseas'. The video is made by Jonathan Bree who made and starred in The Cigarette Duet music video. Overseas features the vocal talents of James Milne aka Lawrence Arabia - he is somewhat of a New Zealand indie prince and is currently touring in the states and Europe with his wonderful band! 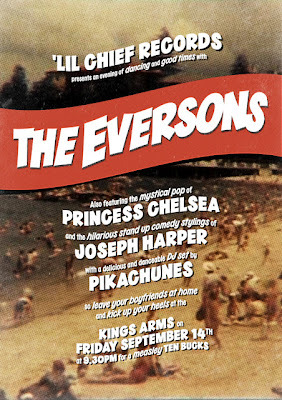 His old band The Reduction Agents were one of the first Lil' Chief signings and are still an underground favourite amongst kool New Zealanders, often played at trendy parties or arty cafes. Overseas has been released as a digital single and comes with the b-side 'Winston Crying On The Bathroom Floor' which features celebrity cat Winston, who is on the cover of Princess Chelsea's album Lil' Golden book and star in the Yulia music video. For those of you from Auckland - Princess Chelsea is playing her last show for quite a while tonight (Friday 14th September) at The Kings Arms with The Eversons alongside local comedian Joseph Harper. $10 on the door, starts at 9pm - see you there! for a night of playing and partying at Auckland's King's Arms. them make a mistake. Not even the one. first video for ‘Could It Ever Get Better?’, Trophy Wife Productions. currently receiving exclusive airplay on bNet stations nationwide. 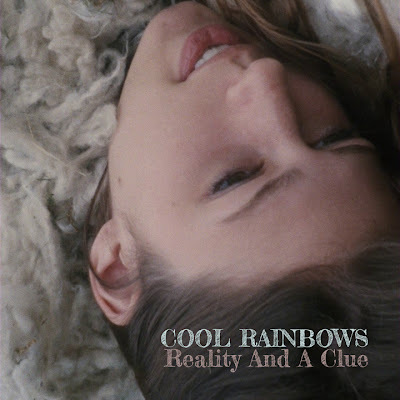 Cool Rainbows have just released a brand new music video and single from their debut album Whale Rocket. The track is "Reality and A Clue" and the video was made by Newfoundland Tack. The digital single is also available here with an exclusive b-side "Lights"